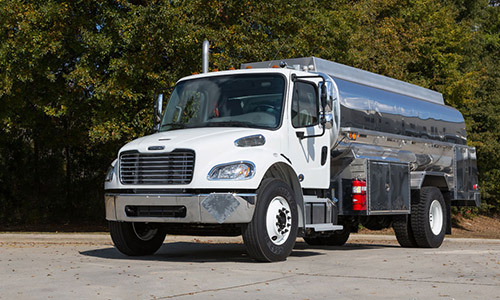 Designed to transport anything from home heating oil to water, with plenty of power and torque to get the job done right the first time, dependable Freightliner® medium-duty tanker trucks are also lightweight—engineered to maximize payloads and improve fuel economy. Even fully-loaded Freightliner® tanker trucks are noticeably agile, easily driven and packed with innovative design features that improve efficiency. Freightliner has always focused on lessening overall required maintenance for increased uptime, enabling customers to manage more profitable businesses with reliable, superior trucks. 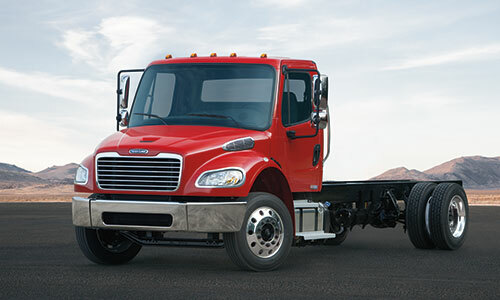 Contact a local Freightliner® dealer today to test drive an efficient, industry-leading tanker truck.